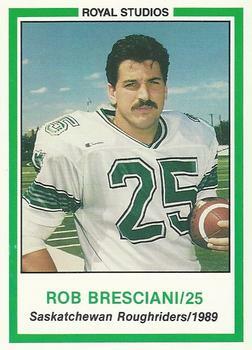 Current Riders Alumni President Rob Bresciani was originally selected by the Roughriders (39th overall) in the 1985 CFL Draft. However, he would end up in Calgary with the Stamps shortly thereafter for the 85-86 seasons then returned to the Regina Rams Jr. club in 1986 to help them to a National Title. He was selected MVP of that Championship game. 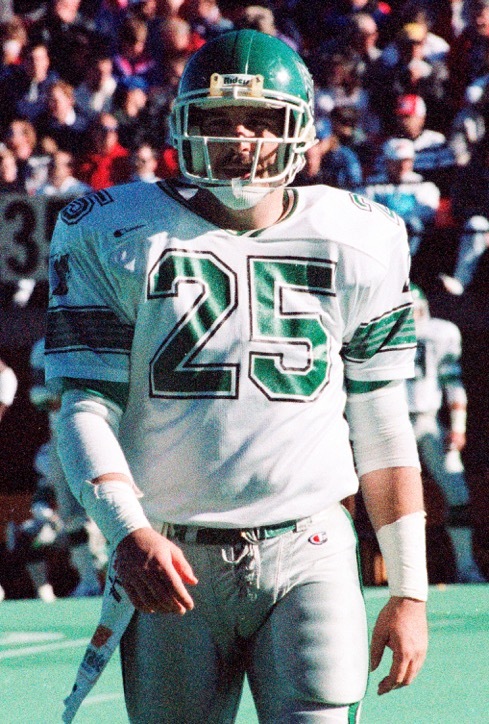 Rob would return to the CFL and play 1987-1989 with the Riders as a Fullback / Slotback and Special Teams, winning a Grey Cup ring with the 1989 Team! According to Bresciani the Saskatchewan Roughrider Alumni believe in giving back to grass roots of the sport that treated them so well. “Our main fundraising charity is minor football across Saskatchewan, but we also like to support numerous children’s charities,” said Bresciani. Giving back to the community has always been important Bresciani, who counts winning the 1989 Grey Cup with the Saskatchewan Roughriders, as his career highlight. Saskatoon, Saskatchewan born, Quinn had astandout HS career with Holy Cross HS in Saskatoon winning 2 Provincial Chapionships and being a Team Captain his Senior season. He would go on to junior with the Saskatoon Hilltops for one season (1988). He then attended Washington State University on a Football scholarship where he played four years (1989-1993) with the Cougars. Quinn was taken in the 6th Rd. 45th overall in the 1993 CFL Entry Draft by the Winnipeg Blue Bombers. 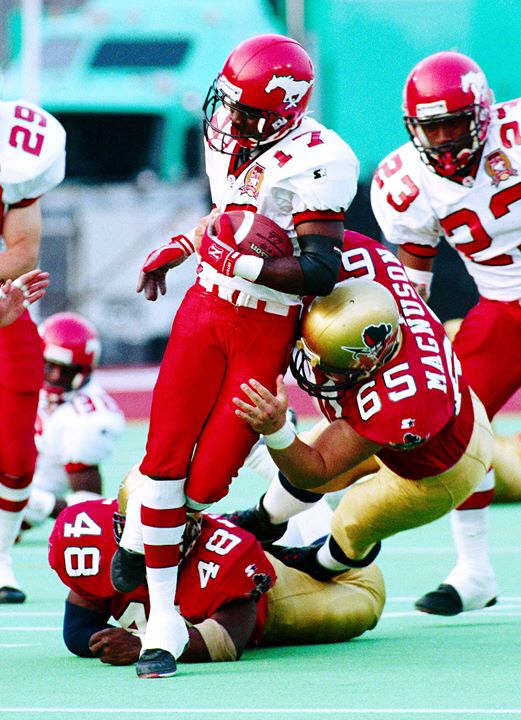 He would go on to play for the Roughriders in 1994, the Ottawa Rough Riders in 1995, and Montreal Alouettes in 1996. Quinn's cousin is Former Rider and current Roughrider Director of Sales / Marketing Steve Mazurak. Quinn's Uncle Keith played and coached in the NHL for the Chicago Blackhawks from 1969 - 1982. Quinn and his wife Kirsten have two children (Annika 16, Leif 15) and have made their home in Saskatoon where he is a Senior Partner of Advisory Services for the BDC (Business Development Bank of Canada). Quinn is very involved with coaching youth sports and continues to give of his time and experience to the community. He loves music, and has a keen interest in bow hunting and fishing. Michael A. Collymore, was born in Toronto, Ontario on September 24th, 1958. 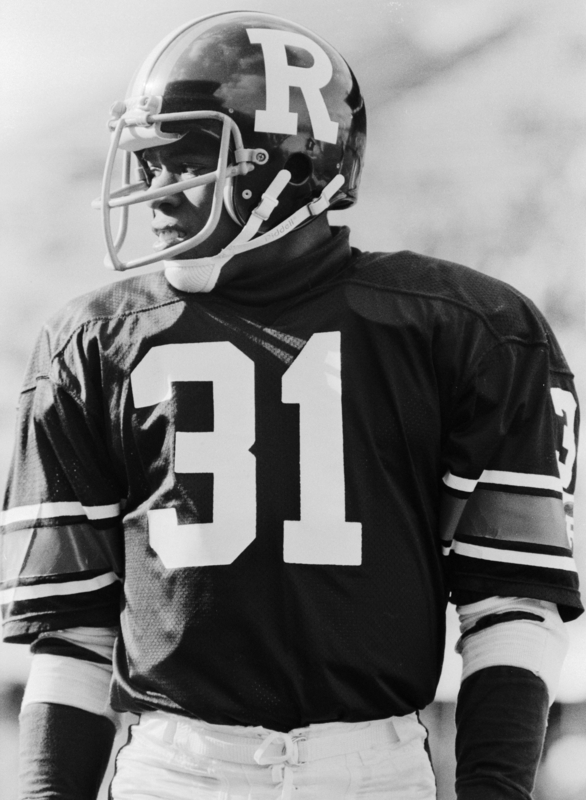 Mike's career in the CFL began in 1981. He spent two years with the Winnipeg Bluebombers, two with the Ottawa Rough Riders, and the 1984 and 1985 seasons with the Saskatchewan Roughriders. Michael is married, and the proud father of two daughters, one who has recently graduated from university and the younger starting her second year. Mike enjoys playing bass guitar, riding his motorcycle, and playing hockey. Jim Hopson was born March 1, 1951 in Regina, SK. 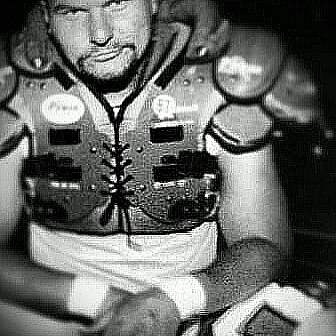 Jim's football career saw him play Offensive line for West Texas State, the University of Regina, and the University of Oregon. His junior football career spanned 1969-1972, and was a two time national champion with the Rams. 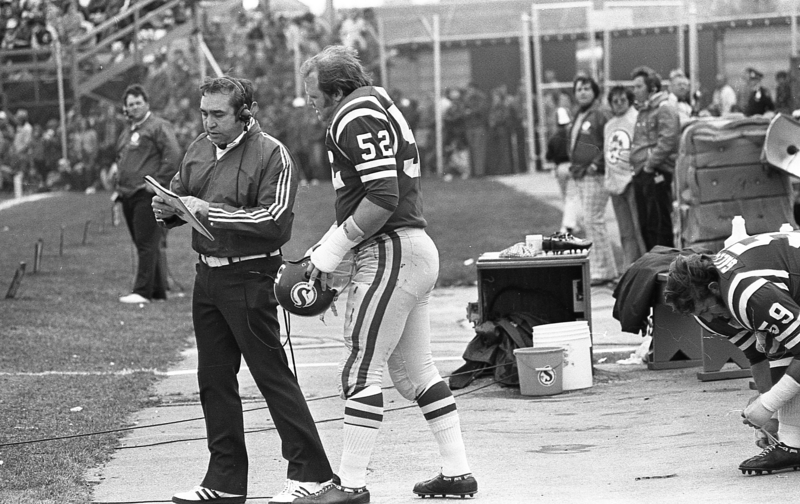 Jim's pro football career was with the Saskatchewan Roughriders 1973-1976 where his teammates included Ron Lancaster, Roger Aldag, and Steve Mazurak. Post football, Jim spent 31 years in education and retired as a Director of Education following which he held the position of President/CEO of the Saskatchewan Roughriders for 10 years.He and his wife Brenda have two children and one grandchild. Belton is a native of Coffeeville, MS and has made Regina, SK his home. His professional football career spanned a total of 10 years. 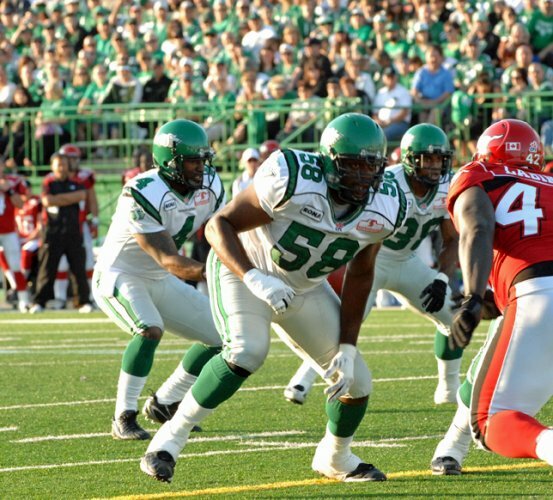 3 years in the NFL with the Cincinnati Bengals and 7 in the CFL, including four with the Saskatchewan Roughriders and a Grey Cup win in 2007. 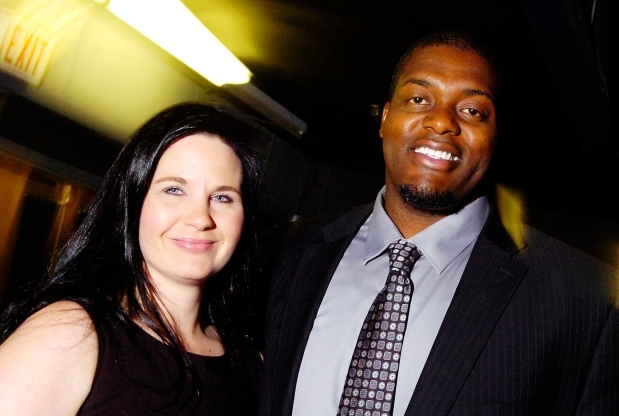 He also played 2 years with the Hamilton Tiger Cats and 1 year with the Edmonton Eskimos. Belton's younger brother Marcus Johnson was a teammate and played side by side with Belton at Ole Miss for 2 years. Belton's mother Glenda Smith is a hardworking single parent who raised two young men that graduated from Ole Miss, and went on to have successful careers in pro football. Belton and his beautiful wife Robin, who is from Regina and works for the Regina Qu'Appelle Health Region, have three children; Tyler, Maximus and Alma. Belton is a self proclaimed "foodie" and enjoys travelling, watching movies, going to church, playing video games, and hanging out with family and friends. 1997 Plaza of Honour inductee, Bob Kosid was born in Brandon, MB. He is grateful to a high school friend from Glenview, Illinois who asked him to join him at a Quebec forest camp throwing cut trees back into the river. 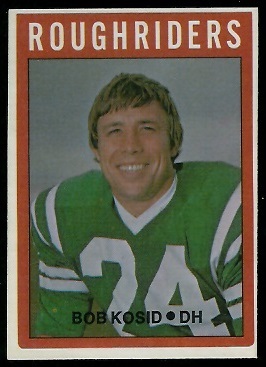 As Bob puts it, "In doing so, I put on 20lbs that improved an already successful football career. I had over 80 scholarship offers, and a good Rider career." That career included four years with Glenbrook H.S., four years with the University of Kentucky, and a further nine years with the Riders which included a Grey Cup win in 1966. Bob now lives in Hamilton, ON and works for Compass Point Bible Church. Scott was born and raised in Saskatoon and began his amateur football career playing for the Evan Hardy Souls in the Saskatoon high school league who won the provincial football championship during Scott’s grade 11 and 12 seasons. After high school Scott enrolled at the University of Saskatchewan and began playing for the Huskies. 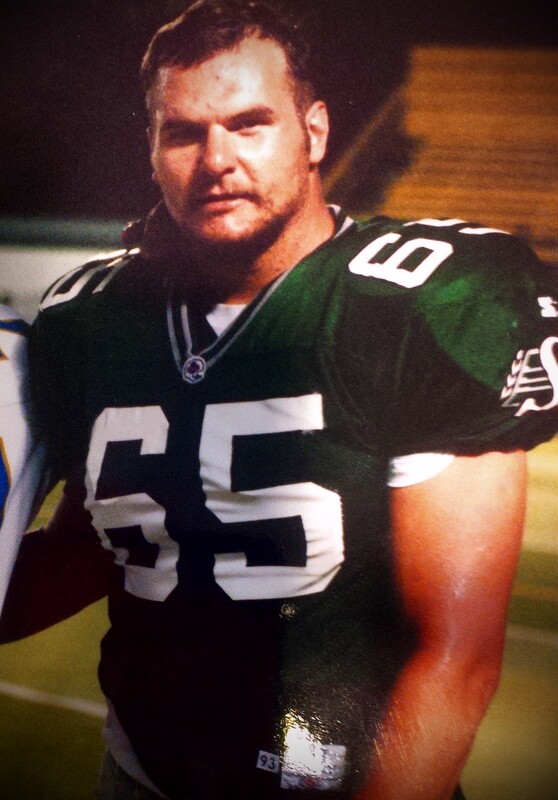 During his four year career at the U of S (79 - 82) Scott was the Huskies rookie of the year, twice named the teams most valuable lineman and was a Canada West all-star his senior year. Scott graduated with a Bachelor of Science degree in Physical Education. 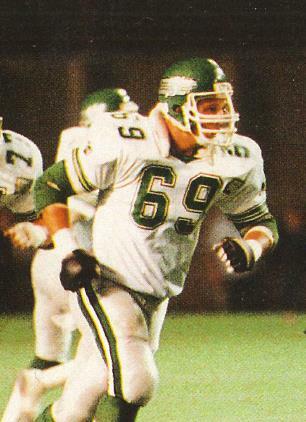 Scott became the Saskatchewan Roughriders territorial protected player in 1983 and this began an 8 year CFL career as a defensive and offensive lineman. 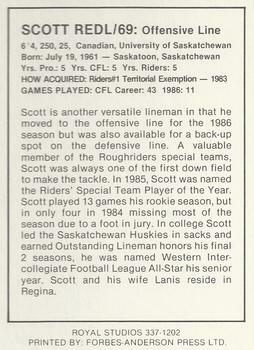 One of the highlights of Scott’s time as a Rider was being named Special Teams Player of the Year for the 1985 season. In 1989 Scott signed with the Winnipeg Bluebombers as a free agent and played two years with the Bombers and concluded his career with a victory over the Edmonton Eskimos in the 1990 Grey Cup. Scott was the President of the Saskatchewan Roughrider Alumni Association for 3 years and remains active in the Alumni Association. 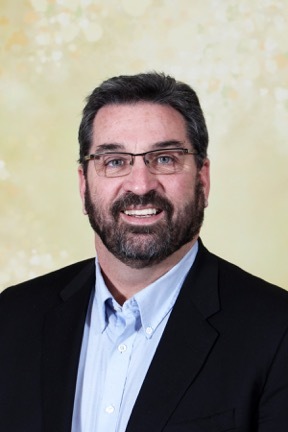 Scott currently resides in Regina with his wife Lanis and two boys (William & Hayden) He is employed by SaskPower as a Key Account Manager in their Commercial & Industrial Operations Department. © 2019 Rider Alumni Association.